This is a very nice example of a 1966 Oldsmobile 98 Convertible. 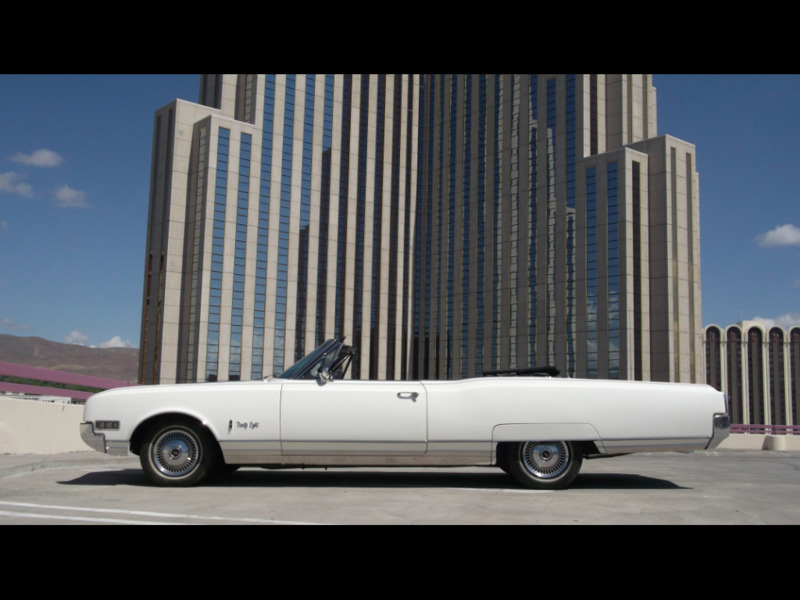 This was the flagship car for Oldsmobile. The 365hp 425 cu in motor pulls this big car very well. The paint, chrome, interior, and trim are all very nice. This car has been very well sorted. All power accessories are working including the power top, power windows, and power seats. This Olds is the ultimate cruiser. Please take a look at the photos and feel free to call us with any questions. David 775-843-2549 or Sharon 775-848-9630. Message: Thought you might be interested in this 1966 Oldsmobile 98.